Good to hear from the otherside for once. 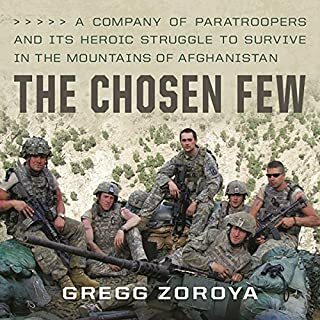 Two years before the action in Lone Survivor, a team of Green Berets conducted a very different successful mission in Afghanistan's notorious Pech Valley. Led by Captain Ronald Fry, Hammerhead Six applied the principles of unconventional warfare to "win hearts and minds" and fight against the terrorist insurgency. 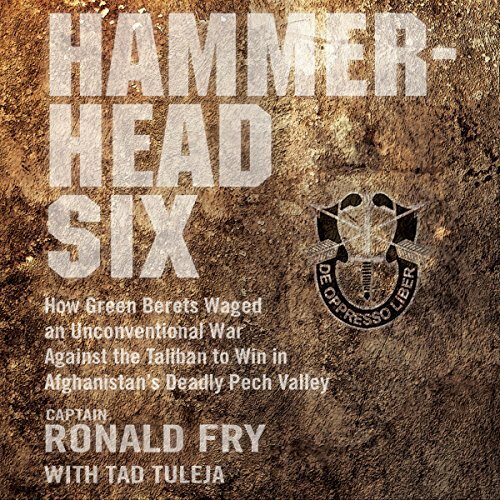 Hammerhead Six finally reveals how cultural respect and hard work (and the occasional machine-gun burst) were more than a match for the Taliban and Al Qaeda. Not another shoot em up story, but so much better at the same time. The world needs more people like these guys. 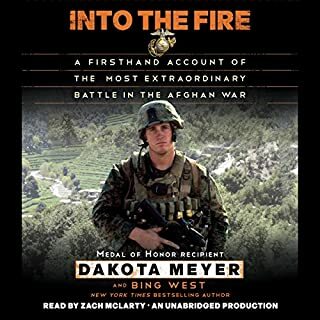 A truly inspiring and touching insight into a world of men and traditions shadowed by the backdrop of war. Absolutely Fantastic! 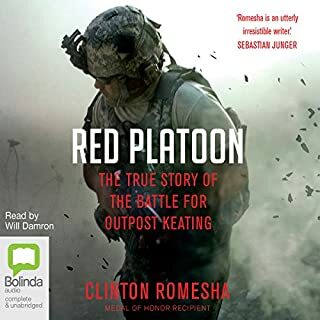 Of the many, many, many afghanistan war memoirs i've read/ listened to, this was among the best. Thank you Ron, for everything you, your team and your family sacrificed for us!!! What did you love best about Hammerhead Six? Great on so many levels. 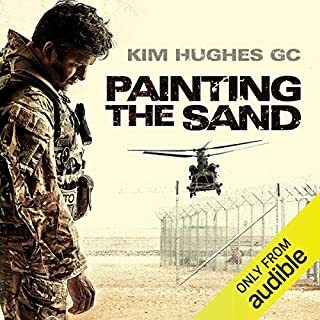 As an interesting, inside look at special forces activities in in a remote and dangerous part of Afghanistan - everything I expected. 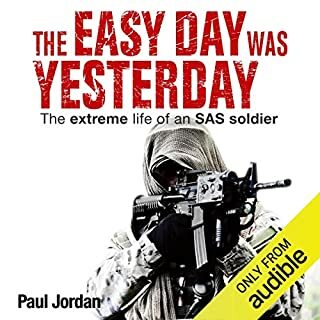 As an opportunity to understand the mind of the commander as he is forced to make tough decisions on a daily basis in sitations that were uprecedented and not in the training manual - perfect. I have listened to a book every two to three weeks for the past five years and and would put this book in my top 10 for holding my interest to the degree that I never liked having to pause and always looked forward to pressing play. What was one of the most memorable moments of Hammerhead Six? 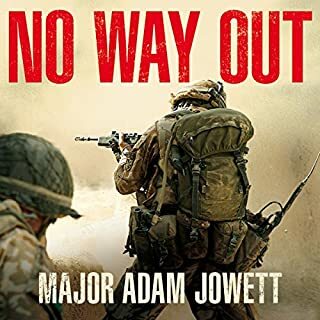 One thing I didn't expect from this book was to feel emotion for the soldiers or the Afghan people - as in happiness, anger, frustration or even the tear-jerk kind of emotion. I found this throughout the book and particularly during two interaction; one of them extremely heart-wrenching. I don't want to spoil anything by providing details. What does Ronald Fry bring to the story that you wouldn’t experience if you just read the book? 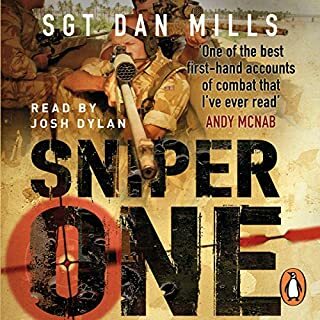 For a biographical style non-fiction, I always prefer to listen to the writer tell their own story - if they do a decent job with the narration. Ron was excellent at narration and sounded just like the military officer I subconsciously expected to hear. Yes, If I could I would have listened to it straight through. It took me four days, with each day looking forward to the next opportunity to listen. Good story, I wonder if it's true. The story was almost unbelievable. I would look for other books from this author he he also narrates. Normal I avoid author narrated books. 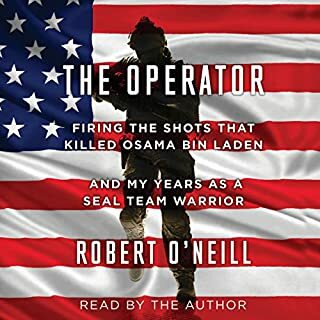 This was quite simply one of the best audio books I've ever listened to. Being read by the author makes it even better. Really renews my faith in mankind in these days of seemingly insane politicians and military planners. 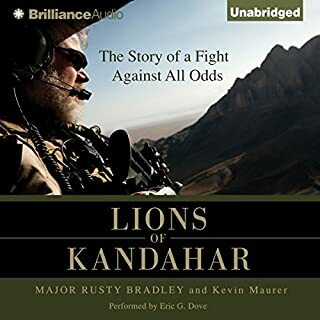 Listen to this audio book. You will not be sorry. Great Book!!! 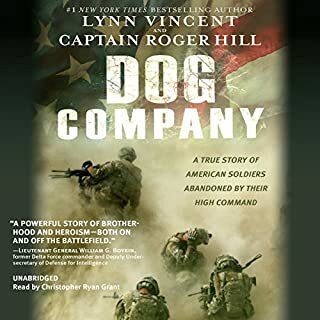 One of the best stories about the war in Afghanistan. I listened to the book in 1 day while I was at work. This is not another war story, this is a human story. 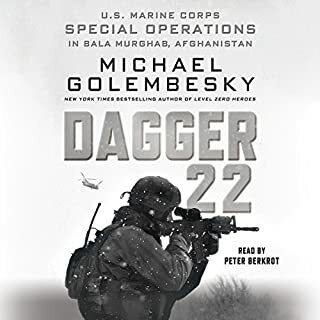 It tells the story of how a team of special forces went into one of the most dangerous places in the world and "killed" the enemies with kindness. Now of course they still has to defend themselves with guns, but the main objective was to win over the people, so that no matter what their enemies said about them, they would be above reproach. I have struggled to figure out what a Christian's role in war should be. To me this is the clearest example I have seen of what that role should be. I feel like Ron and his team embraced the concept of the Sermon on the mount. Love your enemies and through this they will know that you are His disciples. Ron and his team put a value on each life, even the enemies. Instead of turning away suspected enemies from getting medical help, they gave them medical help in hopes that they would bring back the good news that the Americans were here to help. It's one thing to say you are here to help, it's another to prove it through action. Yes there may be times for more aggressive tactics, but if we fought our wars with this as an example, the world would be a lot better off. A Terrific Twist on the Typical "War" Story! 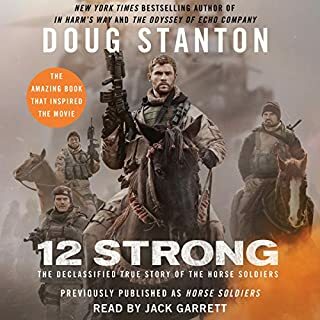 Yes, I would definitely recommend this to any military-literature fan. 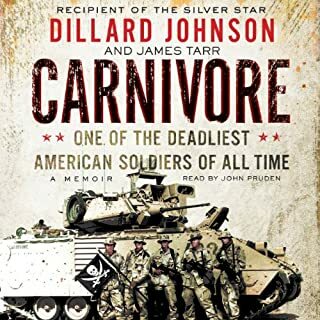 I have read countless titles about the exploits of elite military units from WWII to Afghanistan, and this was the rare glimpse into how an unconventional war SHOULD be fought and won. The crisis brought on by the collateral damage that occurred toward the end of the story. I don't want to ruin it by saying much more. Have you listened to any of Ronald Fry’s other performances before? How does this one compare? No, I haven't. He could slow down his speech to make it more enjoyable to listen to. At the beginning of the story he seems rushed in an attempt to not appear lethargic. No need. Toward the end, his pace slows slightly and listening is much easier. No idea. It is broken up into various situations and events, so it is easy to listen to one chapter, break away to do something else (like when you are listening while driving and you arrive at your destination) and when you pick back up again, it is a different chapter about a different subject. 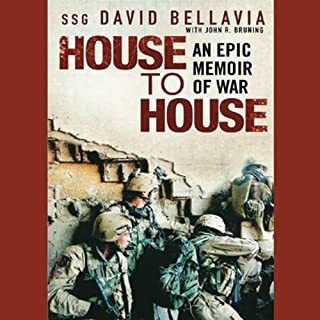 If you like reading stories like "No Easy Day" and "House to House", etc. then read this one too. 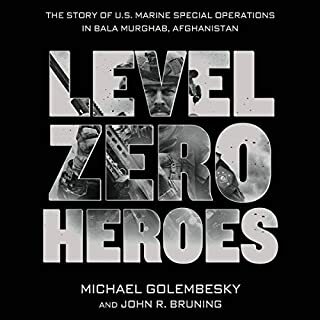 It will give you a different and balancing perspective on the capabilities of U.S. Special Forces and what they can achieve if that is actually the mission they are assigned. I highly recommend this book! Ronald Fry is not only easy to listen to but the points he brings up in this book shows great insight in practical ways to cross cultural divides to the benefit of all involved. Much more than a memoir. 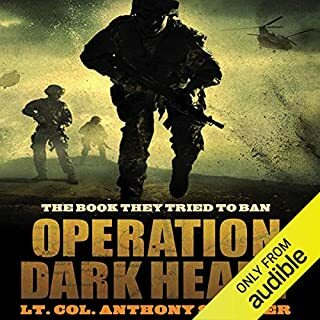 Hammerhead 6 recounts the silent war that was won for a period and the unconventional approach to success in the most deadly part of Afghanistan. Great book. Read it, listen to it, but most importantly, advocate for the principles taught. One of the very best books I have read. 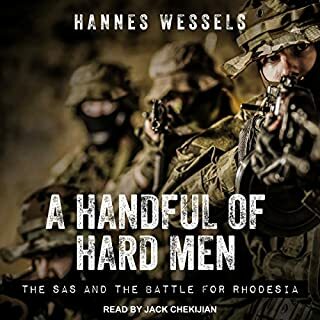 Having read what the Red Bearded Commander managed to accomplish through care and protection over against gung-ho bravado it was not surprising that the follow up tours were more of the usual bullets, collateral damage and resentment, that's what the politicians want, it pays the bills. Awesome accomplishments from the professionals though and what they achieved. Brilliantly written with humility. Why are lessons not learnt? This book has had a profound effect on my thinking about modern warfare. 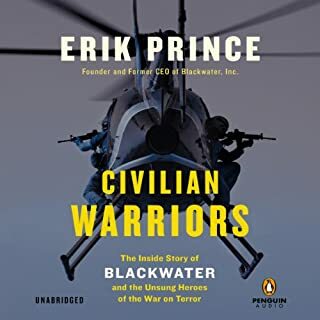 We are so used to seeing smart bombs dropped on their targets and GoPro cameras on the helmets of combat soldiers that we forget that there are other options to winning a war. Captain Fry's account shows how we should be addressing the problems of defeating an enemy in another land. Why did the troops following his detachment fail? I think his reasoning is very clear and I agree with him. But it all comes down to a political will to have the courage to break away from convention and, as he puts it, "think outside of the box". It's too easy to use force but its also far more costly in lives and tax payers money as we here in the UK have found out. Captain Fry's approach isn't new, the Special Air Service were applying this tactic back in the early 1950"s in Malaya but human history is littered with the reminders of mistakes made and repeated time after time.